Raising a teen is nearly a full time job in and of itself. While some parents of teens may joke about it, parents of troubled teens know that it’s true – and not all that funny. When you have a troubled teen you are spending probably twice the time monitoring and parenting them, and four times the amount of time worrying that a normal parent would. Troubled teens seem to permeate everything – their homes, siblings, parents, neighborhoods, even their parents’ work and social lives. Parents of troubled teens often struggle with mental, emotional, and physical issues as a direct result of the stress they are under while raising a difficult child. It begins with loss of sleep due to stress and fear, and can quickly unravel from there. As a parent of a troubled teen you may have experienced this yourself, and you probably also know how critical it is to remain calm, stable, and sharp when dealing with a troubled teen. So how do we find that balance, both for our sanity and their safety? The very first step is to acknowledge your mental and emotional health. Until you recognize and value your mental health and a balance life you will not be able to maintain it in a way that will make you a better parent. Once you’re ready to make a commitment to keeping your mind healthy, you can begin by practicing some of the following steps to maintaining good mental and emotional health. Sleep. Don’t laugh – we mean it! We know it can be hard to get good sleep with a busy schedule, stressful life, AND a troubled teen. But that’s just why you need it so badly. Get in bed earlier, sleep a little later, try a sleep aid or bedtime routine to help you prepare for bed. Do whatever you can, because a well-rested brain is simply healthier. Get a Hobby. It really doesn’t matter what it is, as long as it’s something you do entirely for yourself. It cannot be just another item on the to-do list, or something to stress about. Try to pick something you naturally loved as a child, and do it regularly. Take a Break. 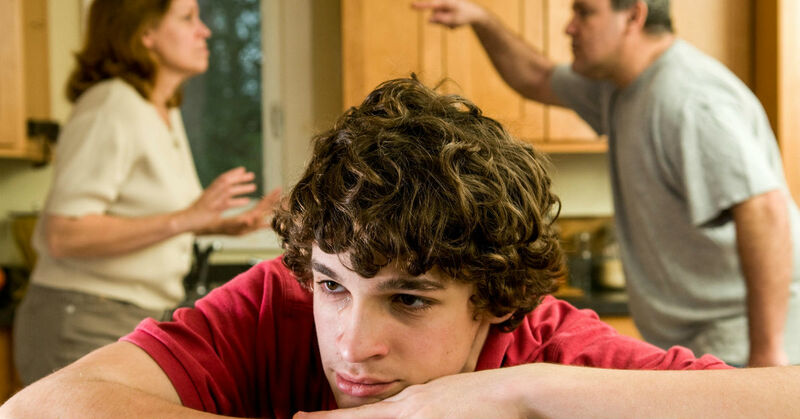 Parenting a troubled teen can mean constant monitoring and bickering. Take a breather. Give them (and yourself) some space for a day or two. If you can manage a night or weekend away – do it. Everyone will benefit. Practice Mindfulness. You can meditate, but you don’t have to. Start by keeping a journal, or listen to a breathing or relaxation exercise. Being more aware of your mind and moods can help you master your emotions and impulses, making you a better parent. Most importantly, remember that there is no guide to raising the perfect child (or is there?). Having some perspective can make parenting a troubled child easier. Finally, be sure to ask for help or reach for professional assistance when you have done all you can do. There are therapeutic boarding schools and trained professionals ready to step in when your mind and heart can do no more. Do your best, take care of yourself, and trust that you are the parent you are meant to be.